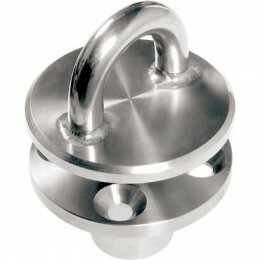 Removable screw-in padeyes are ideal for attachment points which may be removed when not in use. A threaded plug remains in the base section when the top plates is removed to prevent dirt and grit from entering the threads. SKU: RF2433-09. Categories: Stainless Steel Rigging, Pad Eye.